The NWATTC's monthly webinar series, which began with our first installment, January 31, 2018, will feature presentations on a wide range of topics of interest to the region. Watch archived webinars below, and sign up for our mailing list if you'd like to get alerted when registration for upcoming webinars is open. This webinar will re-examine compassion fatigue and self-care in light of neuroscience research and offer practical tools for professionals to use to mitigate their own compassion fatigue and strengthen their resilience. Watch the Webinars You Missed! This webinar, sponsored by the Northwest ATTC and the Western States Node of the NIDA CTN, will summarize what makes women's treatment for substance use disorder (SUD) unique from men's treatment and highlight key issues when providing treatment to pregnant and parenting women with opioid use and other SUDs. Did you watch this webinar? Take our survey & help us better support your training needs! This webinar will provide an overview of the Screening, Brief Intervention and Referral to Treatment (SBIRT) model for use with adolescents who may be using substances. An emphasis will be placed on clinical applications of SBIRT. This webinar reviewed key factors necessary for effectively treating co-occurring trauma and addiction. Practical suggestions and tools were offered, including content specific to assessment, early intervention, and long-term recovery. How do you engage with clients who are using marijuana heavily, but not interested in treatment? This webinar will focus on the Check-Up model of intervention, designed to attract voluntary participation from non-treatment-seeking marijuana users. The elements of the intervention will be described with a focus on topics of conversation utilized to enhance motivation to change marijuana use. This webinar described how and why SUD treatment counselors should strive for greater comfort and ease in talking to patients about their sexual risk behavior. This includes how counselors can improve their own skill and comfort, a description of the MI Spirit approach, and how they can better link sexual risk with substance use, treatment and recovery when talking with their patients. In this webinar, you will learn about Mindfulness-Based Relapse Prevention, an evidence-based treatment developed at the University of Washington. Mindfulness practices increase awareness of triggers, habitual patterns, and "automatic" reactions. These practices cultivate the ability to pause, observe present experience, and bring awareness to the range of choices before us. Dr. Chawla is one of the co-creators of Mindfulness-Based Relapse Prevention and is also the Founder & Director of the Seattle Mindfulness Center. Dr. Korthuis reviewed the biological basis of medications for OUD, presented recent data on the effects of buprenorphine on patient outcomes, and introduced tools for integrating buprenorphine treatment into your current setting. This webinar defines harm reduction as it is implemented on the policy, population, community and individual levels, discusses its historical roots, and provides a rationale for harm-reduction treatment as a policy and clinical practice to address the opioid epidemic. 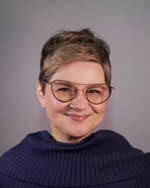 Susan Collins, PhD, is a licensed clinical psychologist, Associate Professor, and co-director of the Harm Reduction Research and Treatment (HaRRT) Center at the University of Washington. This webinar defined pre-exposure prophylaxis (PrEP) for HIV and summarized the evidence of PrEP's safety and efficacy for preventing HIV infection, focusing on populations who use substances. It also described research aimed at increasing access and adherence to PrEP among individuals who use methamphetamine in Seattle, WA. This webinar tackles the complex and high stakes issues of how to best manage youth substance abuse needs for youth who are court-involved. Treatment courts attempt to balance due process with rehabilitation but many advocates are raising concerns that treatment courts may pose more harm than benefit for substance abuse recovery. This webinar brings together national research and clinical experts on the topic. Webinar attendees will get firsthand information about the effective components of juvenile drug courts, the real world challenges of implementing these essential elements, and a clinical overview of the key components need to achieve substance use prevention and recovery outcomes for adolescents. This webinar will examine the stigma of substance use disorders. Dr. Glass will review evidence about how stigma shapes healthcare experiences and treatment seeking, and will discuss practical issues such as why and how to avoid using stigmatizing language. Dr. Glass is an Assistant Investigator with Kaiser Permanente Washington Health Research Institute, an Affiliate Assistant Professor with the Department of Psychiatry and Behavioral Sciences of the School of Medicine at University of Washington, and a licensed independent clinical social worker. He studies brief interventions in healthcare settings, the stigma of substance use disorders, and health disparities. Dr. Glass also holds a career-development award from the National Institute of Health to study online treatments for substance use disorders in healthcare settings. In this webinar, Dr. Donovan will describe the Healing of the Canoe (HOC) project, a collaborative between the Suquamish Tribe, the Port Gamble S’Klallam Tribe (PGST), and the University of Washington Alcohol and Drug Abuse Institute (ADAI) to plan, implement, and evaluate culturally grounded interventions to reduce health disparities and promote health with both Native American tribes. The Healing of the Canoe focuses on substance abuse and suicide prevention for Native youth. It was designed to be adapted by Native communities using community-specific traditions, values and beliefs to strengthen youths' connection to their communities and cultures, and strengthen their future hope and optimism. HOC uses the Pacific NW Canoe Journey as a metaphor, providing skills needed to navigate life’s journey without being pulled off course by alcohol or drugs – with Native culture as compass to guide them and anchor to ground them. The NWATTC offers training and TA for communities interested in adapting and implementing the Healing of the Canoe intervention. In this webinar, Dr. Woolworth shared a brief history of Pioneer Human Services (PHS), one of the nation’s largest social enterprise organizations, accompanied by a summary of the organization’s current service model and the emerging practices that PHS is investing in to address social determinants of health and the criminogenic and clinical risk factors associated with criminal justice recidivism, chronic addiction, and homelessness. Dr. Merrill is a UW associate professor of medicine and a certified expert in addiction medicine. He has clinical and research expertise in primary care, addiction medicine, pain medicine, and HIV medicine. As a member of the UW School of Medicine Colleges Faculty, he is active in medical student education. He teaches students, residents, and practicing physicians in a wide variety of settings. Mr. Fuchs described the 18 funded projects for the Washington State Targeted Response (WA-Opioid STR) grant, a statewide effort to address the opioid epidemic through increased access to prevention, treatment, and recovery services. The plan builds on the state strategic plan, existing infrastructures and expanding implementation of proven programs and strategies to meet the needs of the state. Dr. Peavy described a treatment model for opioid use disorders that leverages patient-centered care components and enhances retention among individuals who struggle with ongoing drug use, and discussed clinical implications of that model. 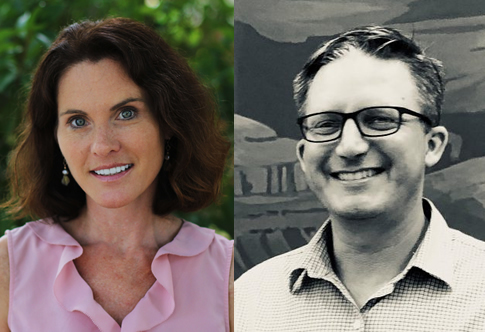 Meet the staff of the new Northwest ATTC at the University of Washington Alcohol & Drug Abuse Institute, and learn about our mission and strategic vision for the coming years!